MT9P031. Applications: High Resolution Network Cameras, Wide FOV Cameras, 720 P–60 fps Cameras, Dome Cameras with Electronic Pan, Tile, and Zoom. Hybrid Video Cameras with High Resolution Stills, Detailed Feature Extraction for Smart Cameras. 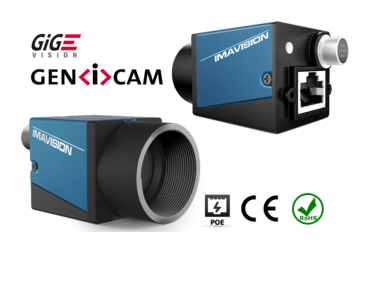 Features: High Frame Rate, Superior Low-light Performance, Low Dark Current. Global Reset Release, which Starts the Exposure of All Rows Simultaneously. Bulb Exposure Mode, for Arbitrary Exposure Times. Snapshot Mode to Take Frames on Demand, Horizontal and Vertical Mirror Image, Column and row skip modes to reduce image size without reducing field−of−view (FOV). Column and Row Binning Modes to Improve Image Quality when Resizing Simple Two-wire Serial Interface. Programmable Controls: Gain, Frame Rate, Frame Size, Exposure. Automatic Black Level Calibration, On-chip Phase-Locked Loop (PLL).